Officially licensed snack container. 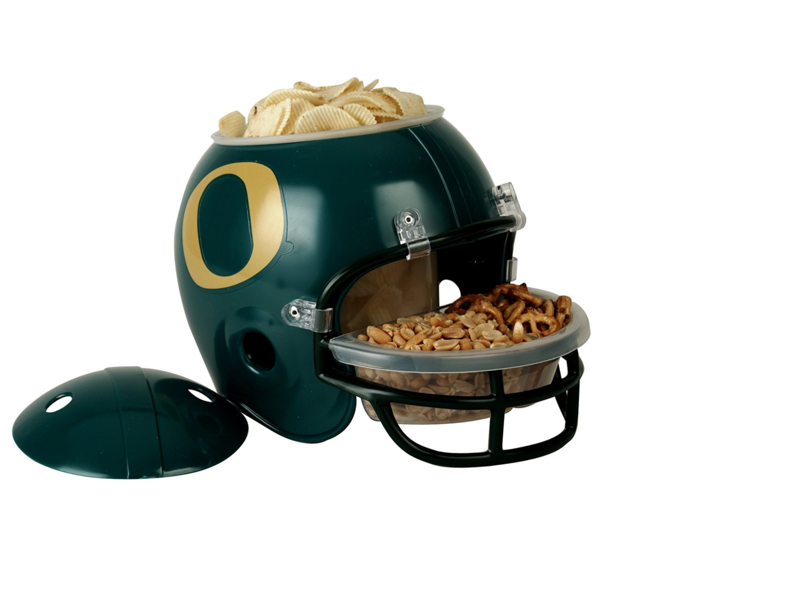 The snack helmet is a great gift item for watching the big event. 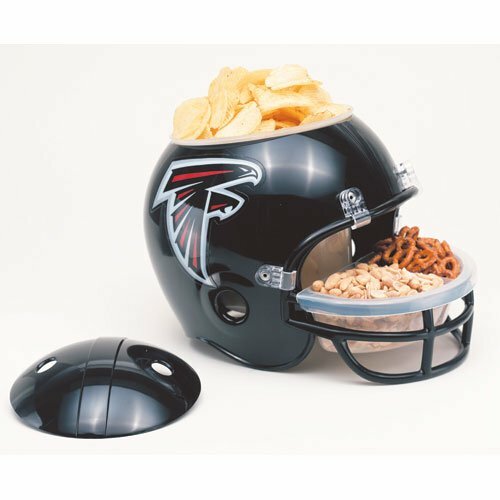 Snack helmets have a large container in the helmet & a small container with 2 parts in the face mask. Helmets are 10″ highx9.25″ deep and are packaged for easy display. They are microwaveable and dishwasher safe.